Pharic is originally from London and relocated to Australia in 2010. Since moving to Australia Pharic has appeared in Love Never Dies the musical and DVD for The Really Useful Company, the workshop performance of Vernon God Little and numerous appearances as a guest singer at concerts and private functions. 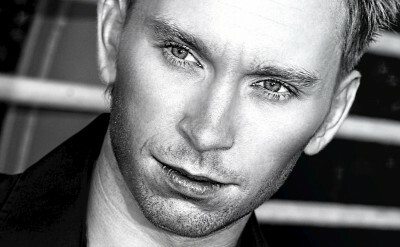 Pharic’s international theatre credits include Wicked The Musical on London’s West End (covering and playing both Fiyero and Dr Dillamond), White Christmas, Guys & Dolls, Pirates of Penzance, Gotta Sing Gotta Dance, Music of Dirty Dancing, Sound of Musicals, Cinderella, Aladdin and he also played the lead role of Eddie in Whitechapel. In Germany, Pharic was a Principal Swing in Starlight Express where he performed as Rusty, Electra & Caboose. He also performed at Voestival (Linz). Television credits include Children In Need (BBC), Hall of Fameand Hidden Talents (ITV), and Miss Belgium, as well as starring in the One2One TV commercial. Pharic has also recorded vocals for Flashdance the musical (UK) and was a featured artist for Clan records with Sony BMG. He has also performed with Deep Purple, Shakira, Lionel Ritchie, Elton John, George Michael, Boy George, Gloria Gaynor, The Spice Girls and as part of the German pop Group United Music Nation. Pharic is thrilled to be returning to Oz as a member of the Australian cast and would like to thank his family and especially his wife Michelle for her ongoing love and support.